Often an organization can come to a business intelligence initiative in a variety of different ways. There exists unconnected data sets, silos of reporting solutions, conflicting metrics throughout the organization. 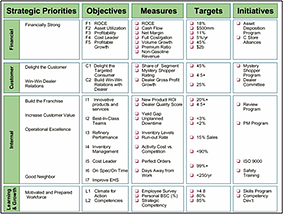 When the business decision makers start to ask questions that can't currently be answered such as 'How do we define success across the organization', 'How and why are we measuring success' and 'Are we measuring the right performance indicators' then you know it's time to evaluate your organization to the BI Maturity Model, begin a BI Strategy Mapping and weigh the value of your data to make better, more holistic strategic decisions. Your BI technical solution can take many shapes from ad-hoc point solutions, data quality and data governance implementations, ETL and data modeling projects to integrated dashboard and collaboration portals. Does your team have the right skills, the best mix of BI products, the scalability, security and performance to consistently deliver data to your business users? How do you know if your architecture and toolsets have the required functionality and flexibility to scale into the future. Success in leveraging your data comes from a well-organized collaborative effort across the organization, everyone from the executive suite to the individual contributors working in tandem to move the organizations goals forward. Important to your efforts are performance based incentives, clear motivating internal marketing and specialized skill sets who have experience in orchestrating the multi-pronged efforts. Whether you choose Ataira Analytics for outsourced BI work sites or as trusted advisors to your internal team, our certified experts can assist in the full life cycle of business intelligence initiation, deployment and management.